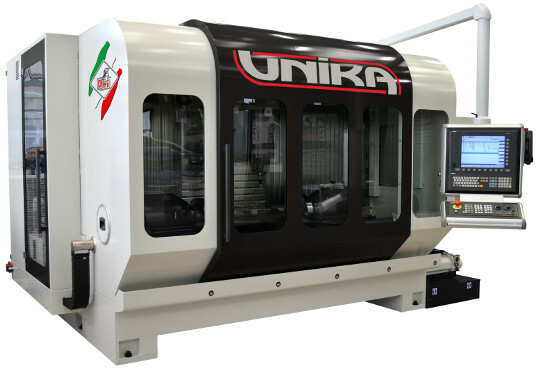 UNIKA is a high speed-milling machine with movable column. It allows a rapid feed of 60 m/min. The movements of the linear axes are realized with water-cooled linear motors. The column, the knee and the ram are generously dimensioned. 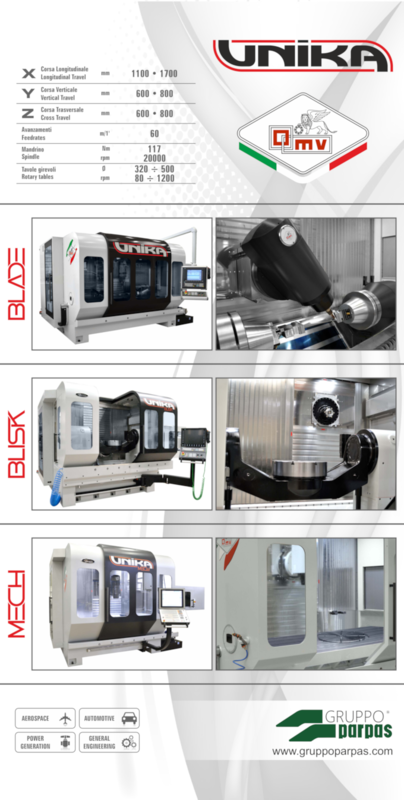 The structures are naturally symmetrical guaranteeing therefore constancy of behavior independently from the temperature variations and from the solicitations produced in machining phase. In the working area can be installed index tables, tailstocks, clamping piece systems.